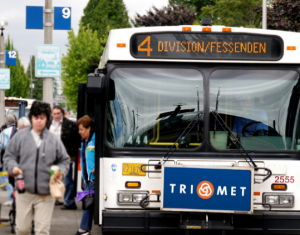 TriMet’s Board of Directors took a significant step toward bringing faster, more efficient and reliable bus service on the eastside this week. 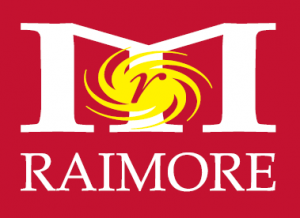 They voted to award the pre-construction contract for the Division Transit Project to Raimore Construction, a certified Disadvantaged Business Enterprise (DBE) with a 20-year history of work for TriMet. Selection for pre-construction services positions Raimore to receive the largest DBE contract in Oregon history, when construction of the Division Transit Project begins, currently expected as early as 2019. 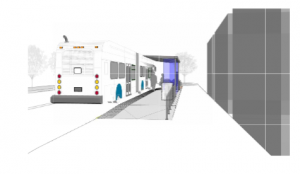 The Division Transit Project will bring high-capacity bus service to a 15-mile corridor between Gresham and Downtown Portland. 60-foot-long, articulated buses with three doors for quicker boarding, room for 60% more riders and space for bikes. Forty-two stations with 83 platforms and upgraded rider amenities. Transit signal priority to keep buses moving, getting riders to their destinations faster. Once complete, the Division Transit Project will reduce travel times through the corridor up to 20 percent. The line will continue to offer frequent service, as the current Line 4-Division/Fessenden does, with buses running every 15 minutes or better, most of the day, every day. Service is expected to begin in 2022. The project will serve what is currently part of TriMet’s most popular and heavily traveled bus line. The Line 4 provides more than 16,400 trips on an average weekday. TriMet plans to split Line 4 this fall into two routes—one that serves Downtown and North Portland (the future Line 4), and the 2-Division. Separating the line in two speeds up trips and improves reliability ahead of the Division Transit Project’s launch. Raimore Construction’s history of working with TriMet dates back to the construction of the Interstate MAX Yellow Line. It was during that project that TriMet created a national model for the Disadvantaged Business Enterprise program. Our approach supports businesses owned by people of color and women. It reflects the belief that people building our transit system should mirror the diversity of the region, and it creates opportunities for DBEs as both prime and subcontractors on capital projects. 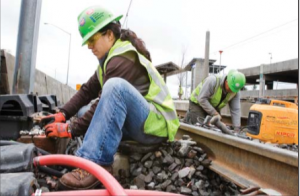 Disadvantaged Business Enterprises are small, for-profit businesses that are at least 51 percent owned by individuals defined by the federal government as “socially and economically disadvantaged.” By demonstrating practices that secure significant levels of DBE participation and workforce diversity, TriMet has been able to deliver major projects at the best price, ahead of schedule and millions under budget. TriMet’s award of the Division Transit Project contract puts Raimore Construction on the road toward its decades-long goal of graduating from the DBE program. The achievement blazes a trail for other small, minority-owned business opportunities to follow. It also continues TriMet’s commitment to engage in equitable, sustainable and fiscally-prudent business practices for decades to come.